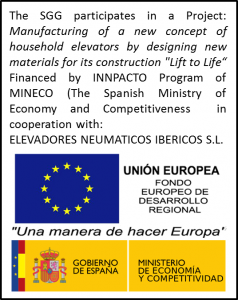 The preparation of thin-films materials with photochromic activity (they change reversibly their colour by the action of light) is one of the activities developed at SGG. Photochromic coatings on different substrates with controlled photochromic properties is done by the usage of organica-inorganic hybrid coatings. The hybrid coatings have the appropriate porosity and surface activity required to obtain the photo and thermochromic effects. 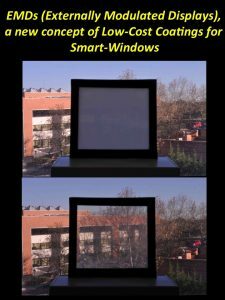 These materials, due to the reversible changes in their absorption (transmission) spectra have a great interest in many applications from light sensors in optical devices to decoration of windows. The poor photochemical and color stability of the active molecules, being the most important drawback for the application of these materials in outdoors conditions, was substaintially enhaced by recently developped formula. The photostability of the photochromic molecules embedded in a hybrid matrix upon prolonged exposition to UV light depends strongly on the nature of the embedding matrix. The introduction of organic functional groups into the inner pore surface of the matrix affects the stability of the molecules, in terms of the effectiveness of the interaction between the photochromic molecules and the surface of the pores and can be used as an important tool to increase the photostability of the photochromic dye in a device. 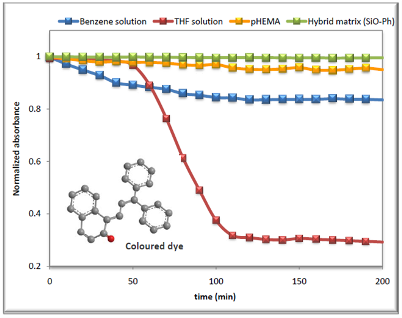 The usage of hybrid host matrices represents the most interesting alternative to prepare photochromic materials, as it allows the control of the photochromic properties and the photostability of the dye molecules by adjusting the chemical composition of the embedding matrix and the sol–gel preparation and processing parameters. The ability to obtain photochromic films with high dye loadings is of great importance from the point of view of possible applications, as it allows the obtainment of films that develop a deep colouration upon irradiation with UV light. 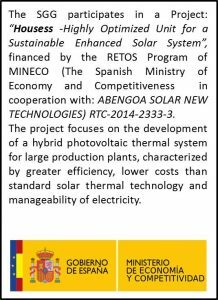 R. Pardo, M. Zayat and D. Levy, Photochromic organic–inorganic hybrid materials, Chemical Society Reviews 2011, 40, 672-687. 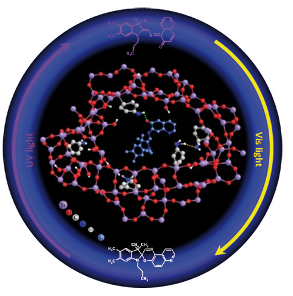 R. Pardo, M. Zayat and D. Levy, ET(33) Dye as a tool for polarity determinations: Application to porous hybrid silica thin films, Journal of Phochemistry and Photobiology: A Chemistry 2010, 210, 17-22. R. Pardo, M. Zayat and D. Levy, Reaching bistability in a photochromic spirooxazine embedded sol-gel hybrid coating, Journal of Materials Chemistry 2009, 19, 6756-6760. R. Pardo, M. Zayat and D. Levy, Effect of the chemical environment on the light-induced degradation of a photochromic dye in ormosil thin films, Journal of Photochemistry and Photobiology A: Chemistry 2008, 198, 232-236. A. Alvarez-Herrero, R. Pardo, M. Zayat and D. Levy, Ellipsometry analysis of the spectral properties and dynamic transitions of photochromic thin films, Journal of the Optical Society of America B 2007, 24(9), 2097-2107. R. Pardo, M. Zayat and D. Levy, Temperature dependence of the photochromism of naphthopyrans in functionalized sol-gel thin films, Journal of Materials Chemistry (2006) 16(18), 1734-1740. R. Pardo, M. Zayat and D. Levy, The influence of sol-gel processing parameters on the photochromic spectral and dynamic behaviour of a naphthopyran dye in an ormosil coating, J. Mater. Chem. 2005, 15(6), 703-708. M. Zayat and D. Levy, Photochromic naphthopyrans in sol-gel prepared ormosil coatings, J. Mater. Chem. 2003, 13(4), 727-730. 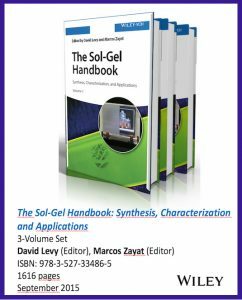 D. Levy, Photochromic Sol-Gel Materials, Chem. Mater. 1997, 9(12), 2666-2670.